Bates Motel - Episode 1.02 - Nice Town wewe Picked, Norma - Promotional picha. . Wallpaper and background images in the Bates Motel club tagged: bates motel season 1 promotional photos 1x02. 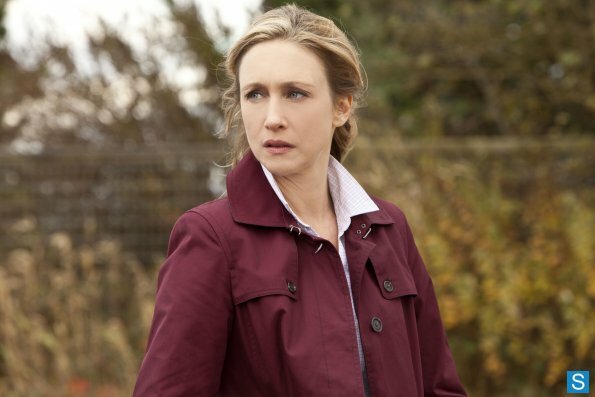 This Bates Motel photo might contain mariana kanzu, koti ya mfereji, overgarment, vazi la nje, and vazi nje.